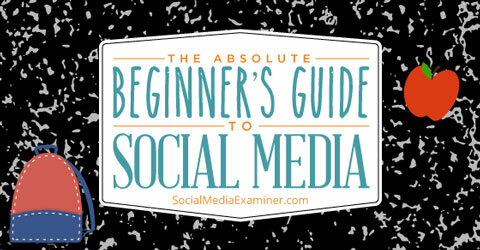 Do you need a beginner’s guide to social media marketing? Looking for something to help you get started with social media? Social media is a conversation you can join any time. Join now. You’ll be welcomed. In this article I’ll help you blast through the hardest part of social media: getting started. Right here. Right now. Here you go: the essential how-to guide, no experience required. Advice for beginning social media marketers. Don’t try to do too much, too soon—you’ll end up overwhelmed. There’s no need to dive head first into a long list of social networks, or even the top four, right out of the gate. Pick just one or two. Each has a learning curve, but none is so complex you won’t be able to grasp the basics and begin. 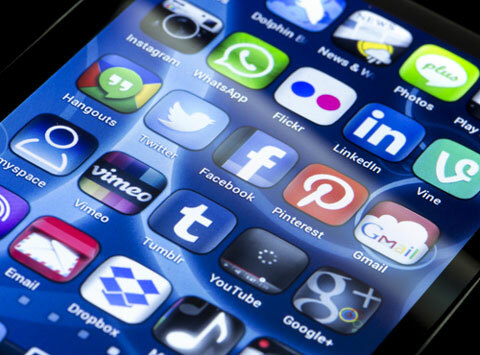 The question is which social media networks make the most sense for you? The answer: The networks your customers prefer. Dig around a bit to find out which networks they’re using—visit their websites or simply ask them. Identify a handful of companies in your space that are active in online marketing and visit their sites. Are they blogging? If so, look at the number of shares for each post to see which channel is most active. Do they have social media icons? Look for the f, g+, in, P, bird and camera logos (Facebook, Google+, LinkedIn, Pinterest, Twitter and Instagram, that is) and click through to their social media pages. Do they have sizable followings on particular social channels? Is there a lot of activity there or do things look a bit static? Find the right social network to reach your perfect audience. Image: Shutterstock. You want to be where the conversations are happening. After looking into several competitors, it won’t be hard to figure out where the action is. Go along with the crowd. Get started with the one or two networks where you’ve determined competitors and the market at large are connecting. In addition to competitors and customers, look at the social media activity of industry influencers. The most influential social media players are generally writers and publishers. Which websites, bloggers and authors have authority in your industry? The experts in your field are likely to have established audiences, which should help you make smart choices—and provide good examples of how to interact on various media. You may find that influencers aren’t just blogging, Facebooking or tweeting; you may discover some are active with video and podcasting as well. Every social media network offers you the opportunity to create a profile. You can get by with just completing the required fields, but you’ll be sabotaging your success if you do. Take your profile seriously and do your best to fill it out completely. The rules vary widely across social media profiles—from Twitter, where you’ll have only 160 characters to work with, to LinkedIn, where you can write a lengthy bio and post any kind of media you choose. 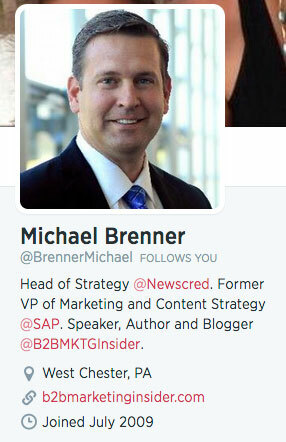 On his Twitter profile, marketing professional Michael Brenner wisely includes numerous keywords and links and presents a professional and friendly portrait. The main thing is to be professional, but personable. Avoid applauding yourself unnecessarily. Be humble, but confident. Your profile plays a large part in swaying others to follow you (or not), so be authentic and interesting. As you create your different profiles, include keywords that are most relevant to your profession to enable others to find you via search. Frequently, you’ll find hashtags (the # symbol) preceding keywords. Include links, where possible, to your website. Too many social media users are inappropriately creative when it comes to their profile picture. Don’t use family photos, pets, landscapes or any odd depictions of yourself or your professional persona. In my opinion, you should also avoid logos if possible. In a physical social situation, you wouldn’t introduce yourself by whipping out a picture of your dog. Your online profile is a social situation—show visitors your smile. Use a simple headshot of you looking into the lens, cropped closely. People want to connect with a person, not a logo. Options for headers and backgrounds vary across different media. However, most social networks have followed Facebook’s lead by offering a space to upload an additional image that acts as a page header (sometime called a cover photo). On Twitter, you also have the opportunity to customize your page’s background. In the header of my Google+ page, I feature a photo of various Feldman Creative items to help reinforce my brand. Put some thought into your cover photo and your profile page will become that much more welcoming. You might elect to show your city, workspace or the like. Commonly, marketers will use graphics from their website or something representative of their brand, which is wise. It’s unwise to neglect your header image because a generic one will be automatically placed there creating the impression you don’t care. Yes, you’re going to need to learn how your network of choice operates. Each network has much in common, but they differ in significant ways. Invest a little time learning the ropes. You don’t have to read books or enroll in a course (though you have that option). Instead, acquaint yourself with the network you’ll use by asking for help from a friend, downloading an ebook or guide and searching for blogs that offer guidance from experts. Your path to engaging on social media begins by following others whose updates will appear in your feed when you sign on. Don’t overthink this process. You can always revise your decisions later by unfollowing people, so fear not and simply begin following folks. 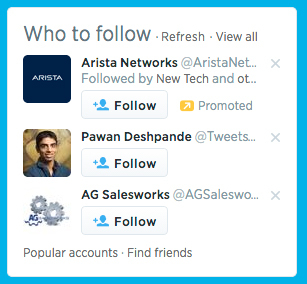 Twitter and other social media networks offer suggestions on who to follow based on your profile. Based on your profile and your follow list, most networks will suggest additional people to follow. In a short time, people will begin to follow you. Follow them back. In social media, the word “listen” really means “look.” Translation: though it’s tempting to start posting immediately after joining a social network, you’ll do yourself a world of good if you step back first and observe how others behave and interact. You’ll pick up on nuances of the network. You’ll figure out best practices and etiquette. There’s no formula for how long or how much listening you should do, but you do indeed learn a lot by watching from the sidelines for a bit. The best thing you can do to build relationships via social media is share content you discover and enjoy. Social media is very much reciprocal. People notice and appreciate it when you take the time to share their blog posts, images, videos, etc., and will likely return the favor. Build relationships by sharing. Image: Shutterstock. 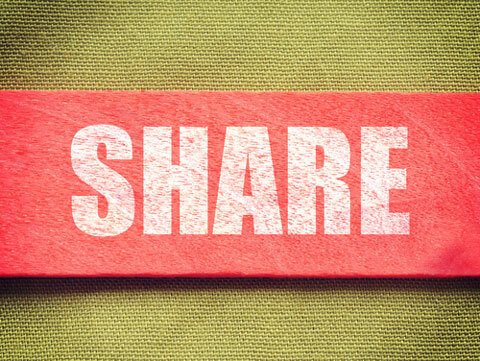 Social media experts often claim as much as 80% of your updates should be shares. I don’t wholeheartedly agree, but I do suggest making thoughtful sharing a regular and large part of your social media activity. Endorsing other people’s updates may be slightly less significant than sharing, but it’s thoughtful and won’t go unnoticed. It’s also easy and can be done with just a click. 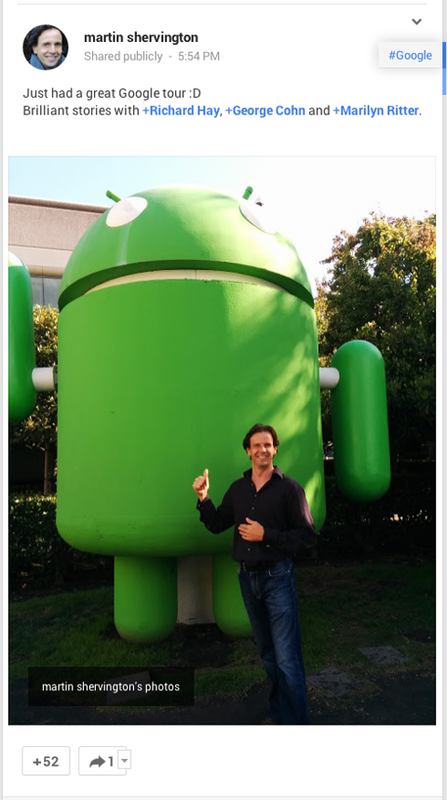 This Google+ post from Martin Shervington received + endorsements from 52 people. Of course, the most well-known of all endorsements is the Facebook “like”—a thumbs-up icon. Each network has one or more forms of endorsements including a “+” on Google+, “like” on LinkedIn and “favorite” on Twitter. Don’t endorse every update you read, but do it when you mean it. You’ll find plenty of content and comments worthy of a click. The heartbeat of social media is conversation, so while sharing and endorsing can be thoughtful and smart, commentary is better still. When you get rolling and your network grows into the hundreds or thousands, you won’t have the time to comment on every update you see. However, the best content you come across will provoke thoughts, just like any conversation. When you comment, express yourself. Agree. Disagree. Answer questions. Ask questions. Cite examples. Offer links. Say thank you. Again, at its best, social media is a conversation and when you put something into it, you get something out of it. It’s fun. Enjoy it. The social media you joined are big networks with hundreds of millions of members. You have the option to interact with more like-minded people by joining (or creating) far more focused groups, communities, chats and so forth. Don’t hesitate to try them. Most social media platforms offer opportunities to join or create special interest groups. 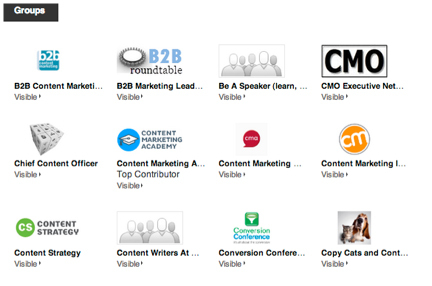 Above is a sample of the many LinkedIn groups I belong to. Along your journey, you’ll find some of the most valuable exchanges occur within groups, and as result of your participation, opportunities continuously present themselves. You need to budget time to do social media. How much time is up to you, but understand you’ll be taken far more seriously if you’re active on a daily basis. Yes, you can shut it down for a day, weekend or take a break without threatening your good standing. The caution I aim to make here is if you merely check in with a post now and then, you probably won’t be taken seriously. If you want to buy advertising on social media, do it. Most networks offer advertising options, and many are quick to attest to its effectiveness. However, outside of the sponsored opportunities some social media networks offer, your fans and followers won’t tolerate relentless sales messages. The more you pitch your products and services, the more they’ll reject you. I’m not saying social media isn’t for marketing. In fact, it is. The trick is to market with a utility mindset. Try a softer approach to selling. Think of your offers as friendly invitations. Promoting an event, special offer, sale, new product or the like is all fair game. You simply need to strike a balance so as to not put people off. Your updates should be valuable. It’s far more effective to pull than push on social media. When you teach, advise and help people, your contributions are embraced. 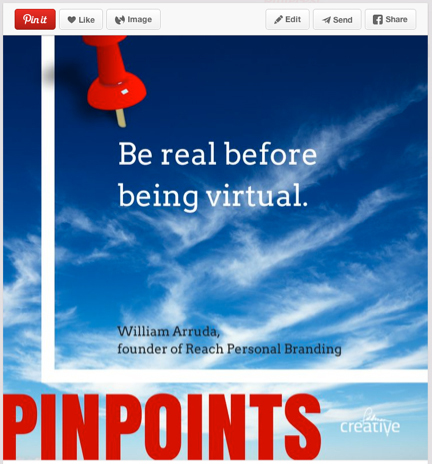 As you surf the web, you come across social media icons everywhere—as it should be. If you’re going to participate in social media, you’ll want to take advantage of every opportunity to let people know where they can find you, so include the icons on your site as well. Your digital presence is not a veil. Don’t try to be anything other than yourself on social media. Write as you would speak. When you let the authentic you come through, you’ll attract the right people, make the right connections and accomplish what social media is really for: building relationships. Social media is not a fad. It’s essential. Just as your customers rely on the phone and email, they rely on social media. It’s where you connect. To believe otherwise can limit and threaten the growth of your business or career. But if you’re new to social media it can seem like another language. Foreign. Frightening. You may be thinking, “Will I look lame?” Am I too late to the party? Will anyone care what I have to say? Relax. Social media is a friendly place. Use the advice in this essential how-to guide to get started with confidence. What do you think? If you’re new to social media, what questions do you have? If you’ve been in the space for a while, what advice can you offer to social media beginners? Leave your questions, comments and advice below.